The approaching royal wedding in May reminds us of the need to abolish the monarchy. The Queen is at the tip of class society in Britain. She is Head of State, and indeed Crown and State are interchangeable. The crown dominates the legislature- the system of law-making,- and the judicial system and is the employer of the civil service and the rest of State bureaucracy. It embodies the whole hierarchical and class system. The commentator Ben Pimlott talked about the “Queen in people’s heads” meaning the important role she plays as the perceived head of society. The myth of “national unity” is built around the role of the Queen, with all that that entails like privilege and deference, and “continuity”. The monarchy itself feels under threat in the changing world. It has over the last few decades been forced to open Buckingham Palace to the public, decommission the royal yacht, and the Queen even had to submit to paying taxes. 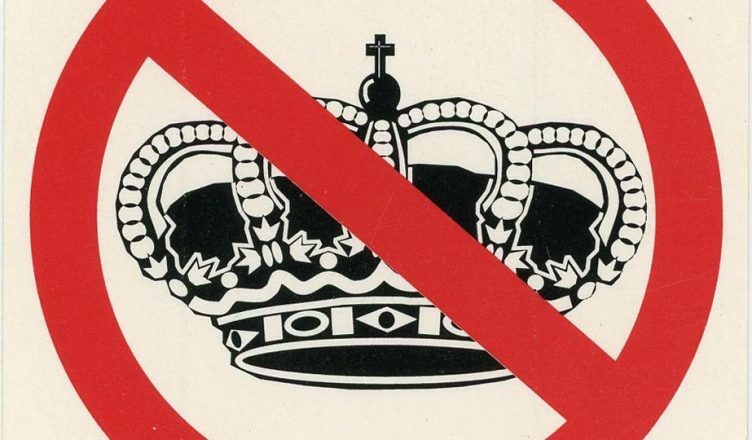 There is a growing awareness among its members, driven by fear, that the monarchy must “modernise” or perish. Both the Queen and her husband the Duke of Edinburgh are now in their nineties and must die within the next ten years. Whilst a myth has developed around the Queen as seen above, her successor Prince Charles is not so popular in British society and neither are other members of the royal family. Recent signs of a further modernisation of the monarchy have been the giving up of all major duties in May 2017 by Prince Phillip (he will still, however, receive a £395,000 year annuity!). Prince Harry took over from him the important symbolic role of Captain General of the Royal Marines, a reminder that the monarchy is intimately linked with that other pillar of British class society, the military. Other signs of modernisation have been the handing over of Remembrance Sunday commemoration ceremonies to Prince Charles, and the dressing down of the State Opening of Parliament in June 2017 with the Queen no longer wearing her Imperial State Crown and robes and travelling by car rather than by carriage. More importantly than that have been the pronouncements of Prince Harry on the monarchy. He is at the head of the moves within the monarchy to modernise. He went on record to say: “We are involved in modernising the British monarchy. We are not doing this for ourselves but for the greater good of the people. Is there any one of the royal family who wants to be king or queen? I don’t think so, but we will carry out our duties at the right time.” Of course, the future and fortunes of the royals is at stake and Harry is desperately trying to position himself as an advocate of a “people’s monarchy”. Remember £30 million is paid out to the royal family and none of its members wish to see these benefits disappear in a cash strapped economy. The recent revelations in the Paradise Papers revealed that the Queen and Charles were tax dodging, with their money ending up in Bermuda and the Cayman Islands. So now the Prince who once dressed up as a Nazi is putting himself forward as a popular icon. The forthcoming marriage to a commoner, (even though she has a personal fortune of £5 million) an American and a woman of colour are all part of this strategy. No, the ending of the monarchy depends on mass distaste for a parasitic institution. The forthcoming media circus around the royal wedding, with all the lickspittle toadying that will involve, should not distract from that.